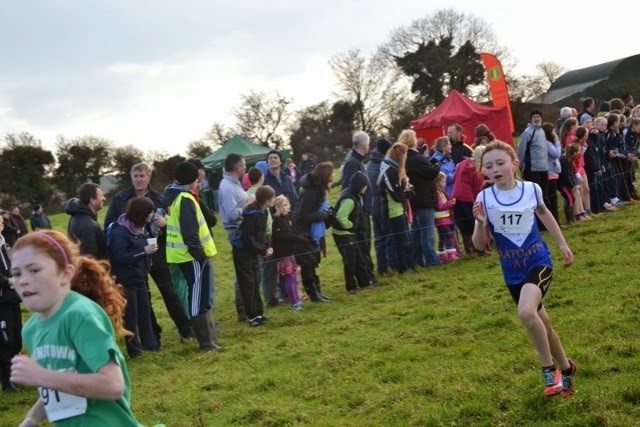 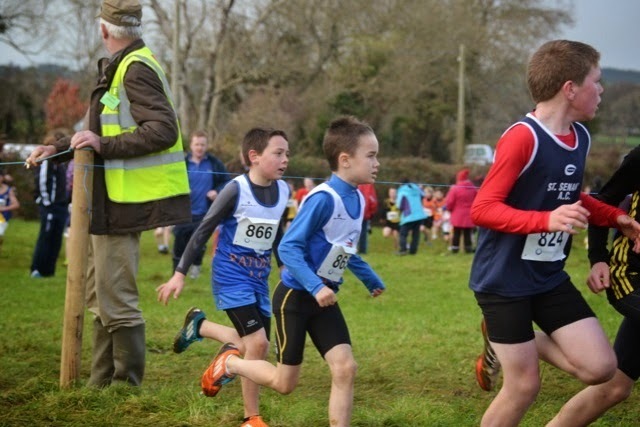 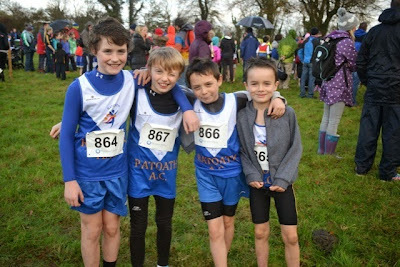 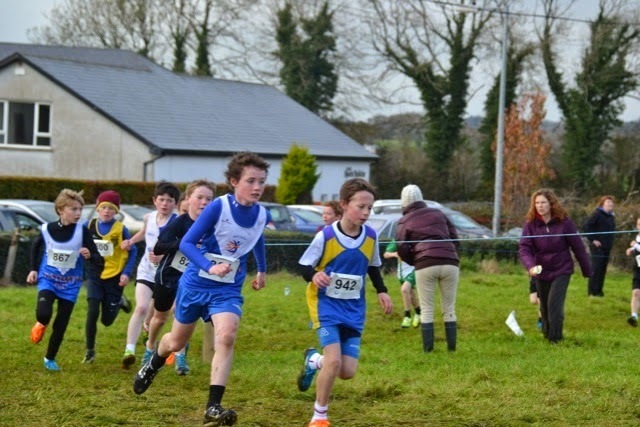 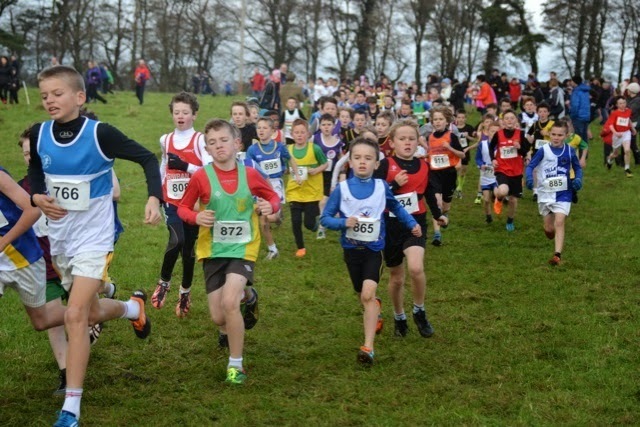 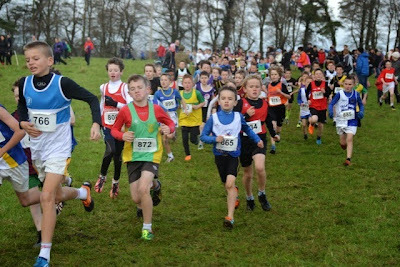 The AAI Leinster uneven age cross country Championships were held in Adamstown on Sunday 9th November. Thankfully the rain held off for most of the races but the underfoot conditions were demanding following heavy rain over the preceding few days. 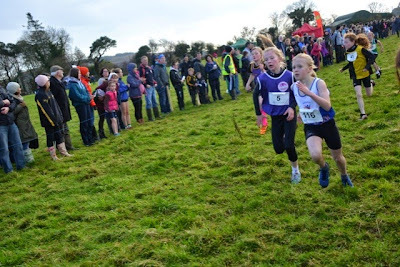 Our u 11 girls squad set the tone for the rest of the day with some tremendous performances. Sophie Quinn led the team home in sixth place and was ably supported by Aimee Doherty (16th), Eabha Toole Toole(30th), Amelia Campbell (32nd), Laura Kelly (42nd), Molly Keane (47th), Ciara Subrian Walsh (77th) and Matilda Ruhan (99th). 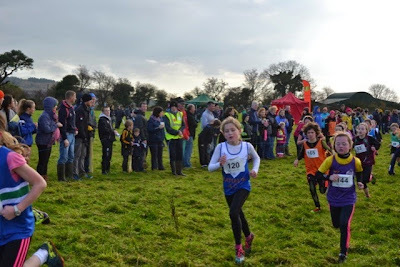 The club team finished second just behind Thomastown and the county team were also second to round off a great day for the girls. We had four competitors in the boys u 11 and what we lacked in large numbers we made up in quality with outstanding runs from all four. 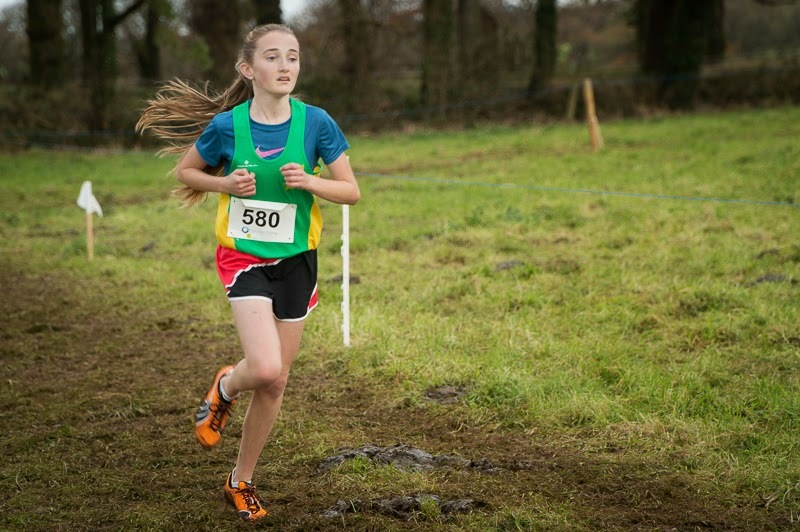 Fionn Drummond (20th), Eoin Kane (27th), Harry O Connor (39th) and Kyle Witter (41st) just missed out on medals with both the club and county placing fourth..
Karen Hayes placed 38th in a very competitive u 15 girls race despite running out of her age group and was a key member of the Meath county team that won the silver medals. Harry Haskin (61st) was another running out of his age group. Harry continues to improve with every race in his first year of regular cross country competition and is definitely one to watch for the future. Aine O Connor just missed out on making the Leinster squad for the All Ireland when she finished 13th in the u 17 girls. Aine went out hard from the gun and stayed up with the leaders beyond half way and was only pipped for an individual medal in the closing stages. 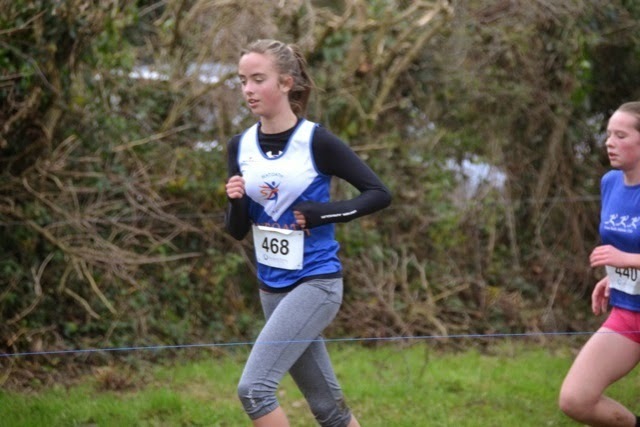 Aine has made huge improvement over the past 12 months and from the way she is going in training, there is even more to come from this dedicated and talented athlete. 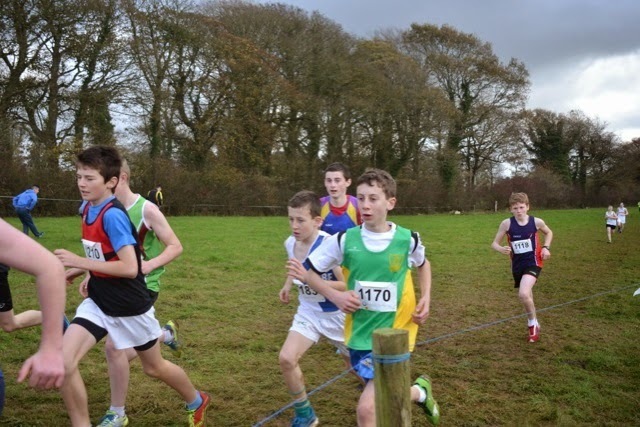 The boys under 17 was a great race with Alan Monaghan winning out in the end. Despite only flying in from New York the previous day, Philip Marron took up the early running and ran his customary positive and gritty race to finish 8th and looks to have more in the tank for the nationals in Santry. 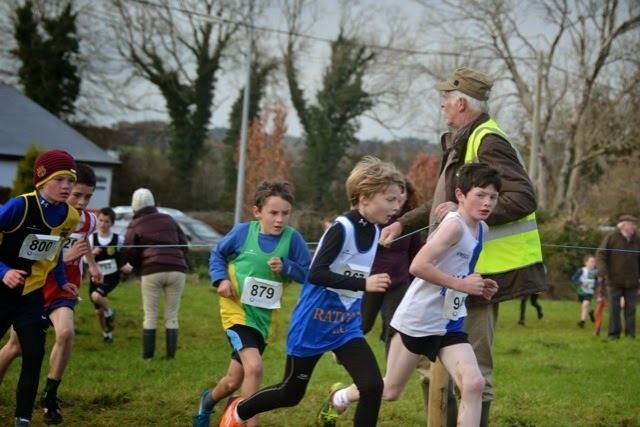 After a slow start, Alex Hunter stormed through the field to finish 13th and along with Philip was a member of the Meath county team that took the gold. 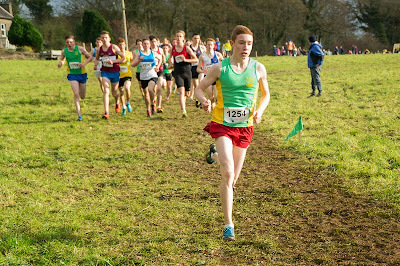 Alex will also be another to watch in the nationals as we have not seen the best of him yet this season. 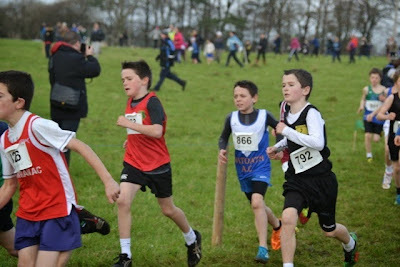 I suspect he is reserving his best form for the nationals. Hugh Kelly was 73rd in the mens intermediate which was a fine run especially in light of the fact he spent much of the day assisting with the juvenile teams rather than focusing on his own warm up.Its easy to see where Laura gets her talent from. It was also pleasing to see Ciaran Crowther (Ashbourne a/c), who occasionally trains with our group, have such a good run in the u 17 boys and score on the victorious Meath county team. Well done to the local club for organising such a well run event especially in light of the inclement weather leading up to the day and thanks again to all the parents and coaches for travelling and supporting all the athletes.